Paul Bianchi remembers the grass fire that started at the top of a hill and came within feet from his home on Oberlin Way in South San Jose. "Yeah it got pretty close," Bianchi said, as he stood outside his home. "It came all the way down to just about the canal. So it was pretty intense. Bianchi looked up at the hill and saw that once again there were tall dry weeds. "It's getting pretty high. It should already been cut by now," Bianchi said. 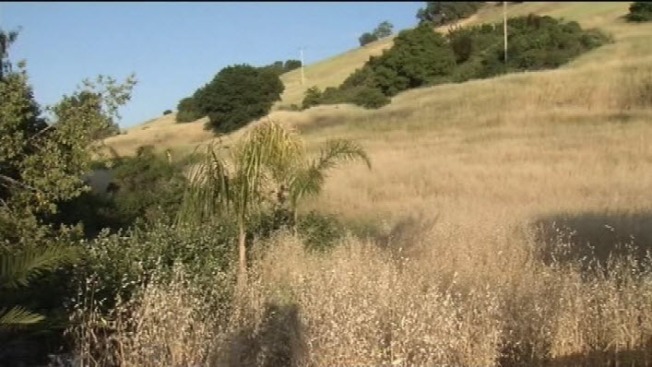 There are more than 400 areas and lots in San Jose where dry vegetation continues to grow. One of them is a 44-acre lot on North First Street and Component Drive owned by a company called San Jose North First Street Syndicated Holdings. "High weeds, dead grass...that is a fire hazard." That's how Diane Buchanan, acting deputy director of code enforcement for the city of San Jose, described the 44-acre lot. San Jose has a six-inch rule. That means no weed should be taller than six inches. "Six inches is our standard. Anything over that and we consider it a hazard that needs to be abated," Buchanan said. The City of San Jose says the owner of this 44-acre lot is responsible for maintaining the property. Code Enforcement contacted the property owner Wednesday afternoon and gave him ten days to cut down all the tall weeds. And if they don't take care of it in ten days..."We then can issue a citation to the property owner for upwards of a thousand dollars (And that's per day) correct," Buchanan said. San Jose North First Street Syndicated Holdings did not return our calls.